This is only a tiny hotfix for the shop-buying crash in v109. Lets hope this is the last fatal bug now! Fixed buying stuff in shops crash. thanks for the two Updates, but my Game still crashes if an Flashbang Grenade explodes. 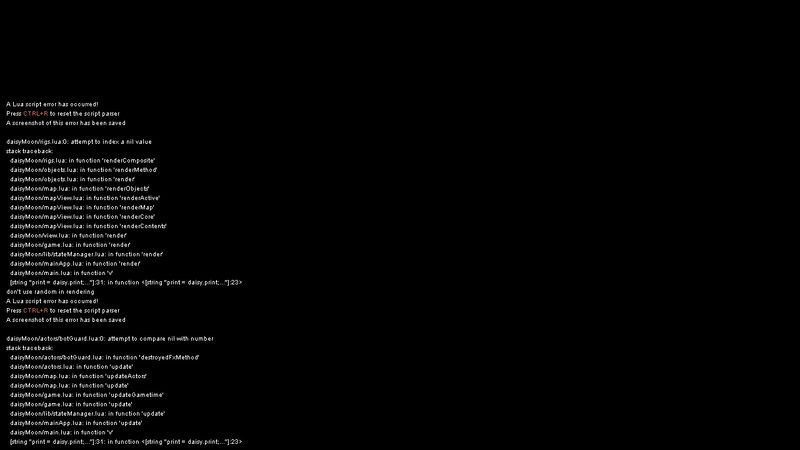 Black screen with “…Lua Script Parser Error…” Code on it. The game is unplayable! Thanks for the report, it has been fixed in v111..
An update button or something like that in the laucher would be usefull…. When will that be implemented? There is an update button if you login? Have you been playing offline always? Anyways, I’m still getting the Research Facility error (I even installed OpenAL). Hmm. Very strange. What os are you on? Have you tried a clean install in a new location? What is your sound card? Do sounds work generally? Is the platform.ogg file in the loops folder under daisymoon? What also will be good for the laucher is that there will be a check button for: Remember password bacause i have a pretty long one, i have to type it every time in. Can’t even update now my game crashes every time I try to launch the launcher. Crazy: check in the install folder. Btw you can remove the error by setting hideMessges to true in debug.cfg.. Are more people experiencing this? Thanks again for countless hours of fun, love playing the game and seeing the development of it. No bugs to report that i have found. Also, is there an estimated release date for campaign? Ah, thank you. No more goddamned error messages! Where’s the Matter Army Issue on Survival House? i pre-ordered he gam back in december and have been waiting for news of the Beta (mac!!!!!) release date, but we have heard almost nothing. is there anything definitive you guys can say about that?